OK, so I decided to create this tutorial for one simple reason. There are still way too many small businesses that don’t have a website. Part of why that is is because they think it’s somewhat too difficuly or too costly to set up. Over 85% of consumers now use the internet to find a local business – Source. 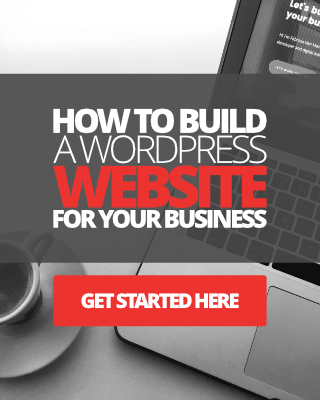 So, with that in mind, hopefully, you’ll find just how easy it is to launch your website using this quick and simple tutorial. Let’s get straight to it. Your first step is to get some reliable web hosting. For this, I recommend using SiteGround. Click here to find out why I use and recommend SiteGround for small businesses. 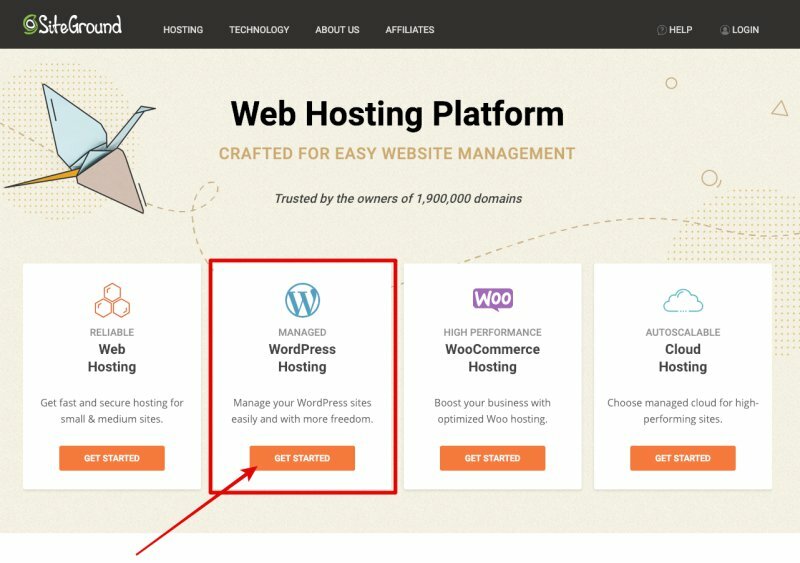 Of course, if you don’t wish to use SiteGround, then check out these other recommended web hosts. 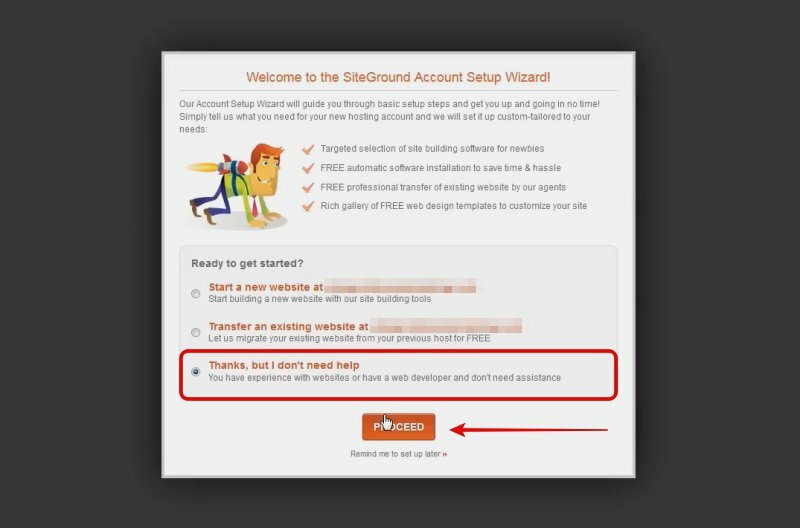 If you’re ready to roll and start your website immediately, go to the go to the SiteGround homepage here. 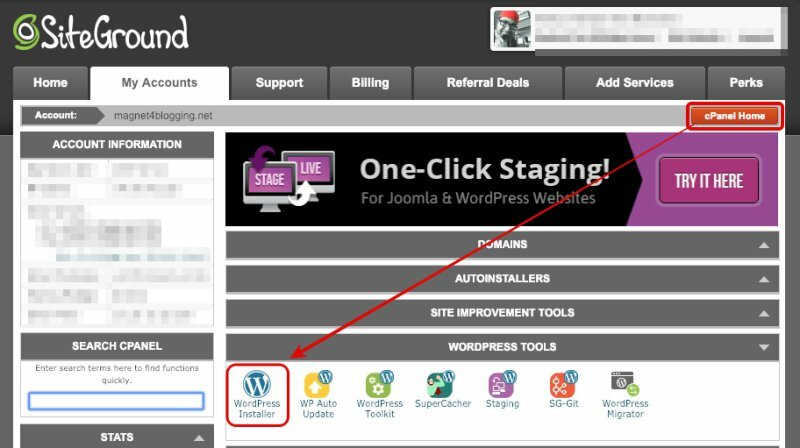 On the homepage, click on the ‘Get Started’ button under Managed WordPress Hosting. (See image below). 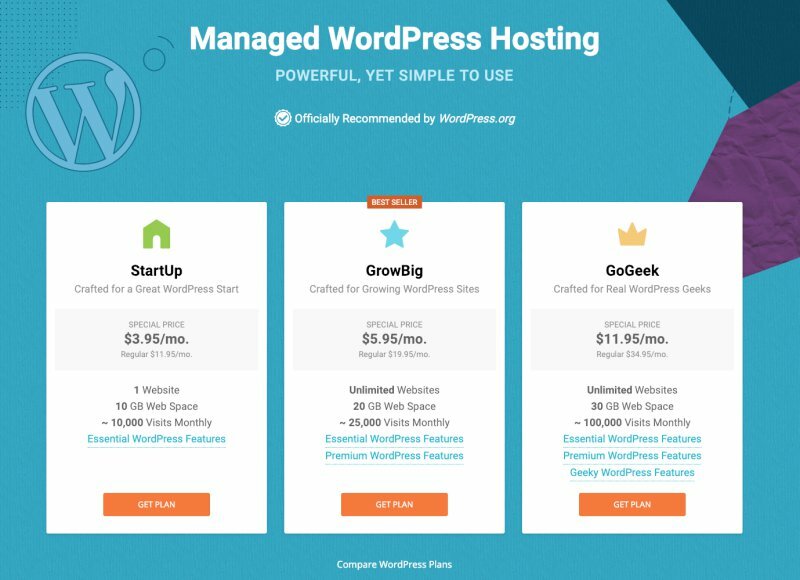 You should arrive at the information page for Managed WordPress Hosting. Look through the plans available and pick one that meets the requirements of your business. If you are just starting your website, then I would recommend choosing the StartUp or GrowBig plan. (See image below). The GrowBig plan will give you additional resources for your website to grow over time. Create A WordPress Website Step Three: Signup! Once you have picked a plan, the next step is to register for hosting using the registration form. When you click on Get Plan, the next page you will see is the first step to getting your web hosting account set up. You will begin with choosing a domain name. This can be the name of your business, for example, johnsmithplumbing.com, if you happen to be called John Smith and you are a plumber. 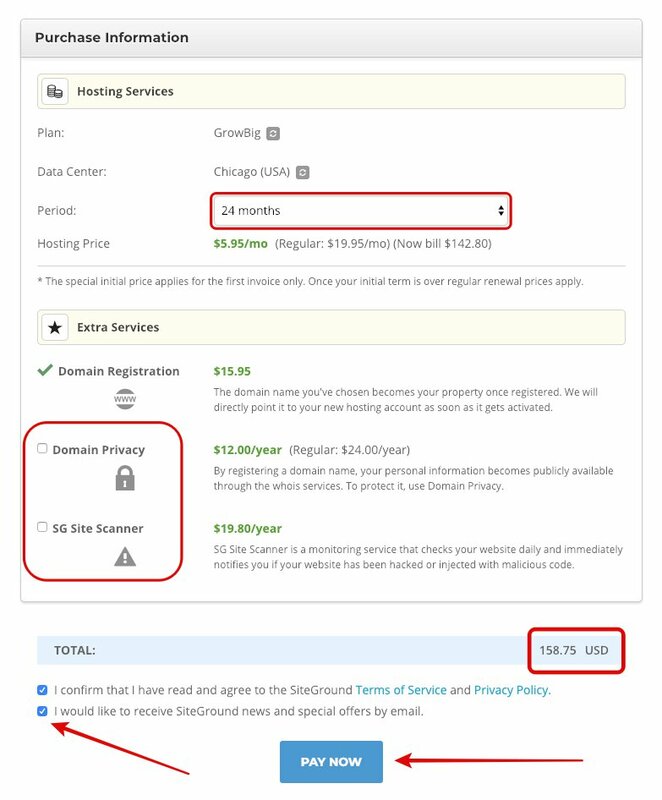 If you don’t yet have a domain name registered anywhere else, then you can register it with SiteGround for $15.95 per year. (Correct at the time of writing this post). (See image below). If you do have a domain name, then you can check the box that says ‘I already have a domain name’. (See image below). The Account, Client, and Payment information fields are pretty much self-explanatory. I don’t need to explain how to enter these details in. Make sure, however, your information are correct before moving onto the purchase information box. OK, so the next part is important to get right. Here you will enter the purchase information for Hosting and Extra Services. 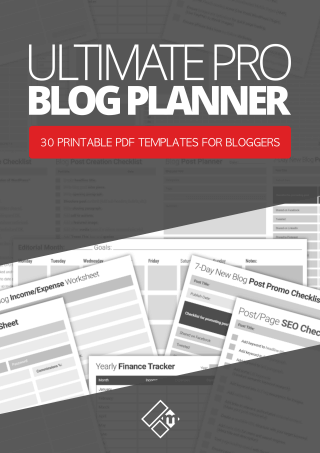 You should have already selected the plan you need for your small business website, now just pick the duration for the plan you want, I recommend 12 months or 24 months. Under Extra Services, you can decide whether you want your domain name to remain private or require SiteGround’s website security scanner and reporting (SG Scanner). (See image below). I use SG Scanner and highly recommend it. You will receive weekly reports on your website’s health, and also be alerted if your site gets a virus or infected with Malware. When you have checked everything and are good to go, check the terms of service and privacy boxes and hit Pay Now. If all has gone well, so far, you should be greeted with a success message. You will be emailed your login details so please keep those handy. You can now proceed to your customer area. (See image below). When you click on the Proceed To Customer Area button, you should see the following page. (See image below). 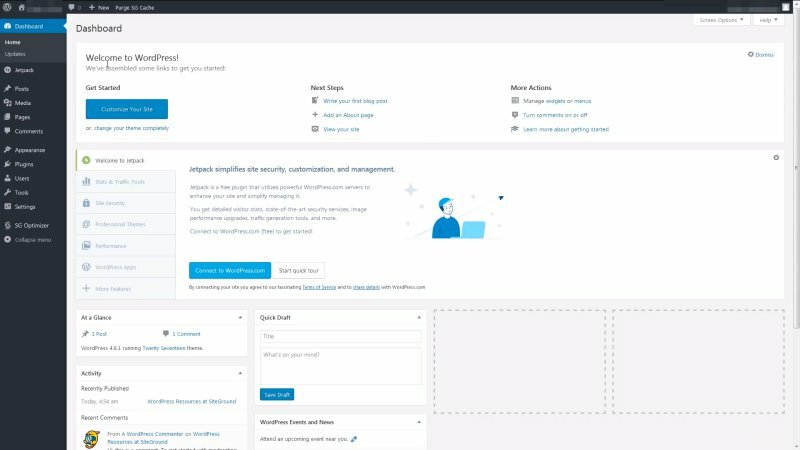 Since you are creating a WordPress website from scratch, you don’t want to start a website using the SiteGround site building tools, nor do you want to transfer an existing website. Unless, of course, you do. In which case, read my website migration post. So, make sure the ‘Thanks, but I don’t need help’ button is checked and then click on Proceed, as shown above. 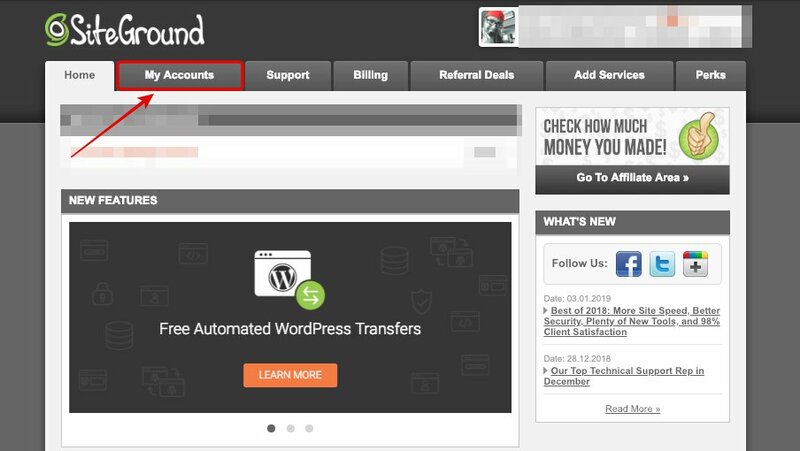 Once you are in your SiteGround account dashboard, click on the My Accounts tab. (See image below). Once you are on the Accounts page, click on the Go to cPanel button as shown below. OK, so once you are on the cPanel page, scroll all the way down until you reach the Security tab. Before you install WordPress and create your website, I recommend you install an SSL certificate into your domain. 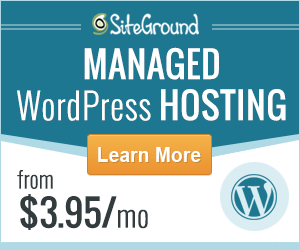 This is a free service provided by SiteGround. In the cPanel page, find the Let’s Encrypt option under Security and click on it to install an encryption certificate (SSL) into your domain name. (See image below). I have created a separate and more detailed tutorial post to show you how to do this successfully here. OK, once you have the SSL certificate taken care of, it’s time to install WordPress and launch your website. 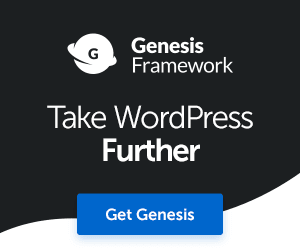 So, click on cPanel Home and under WordPress Tools, click on WordPress Installer. (See image below). Now for the moment you’ve been waiting for. 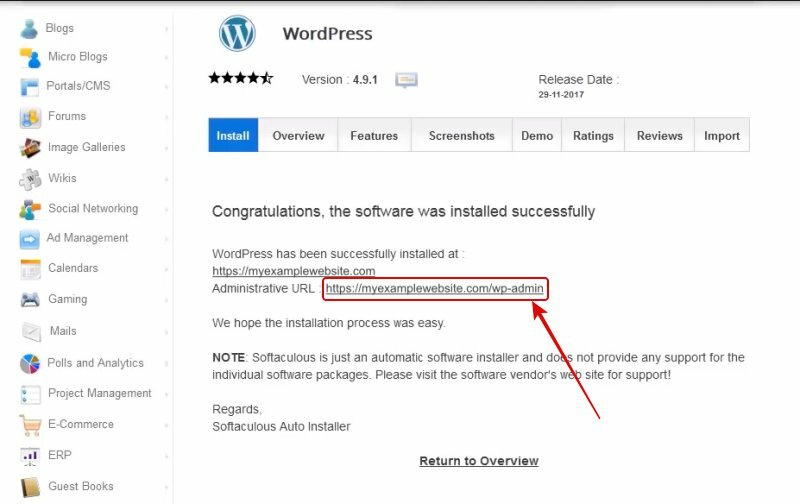 On the WordPress Installer page, scroll down until you see the Install Now link. (See image below). Next, fill in all the necessary fields to complete the installation. It’s important you get these right. In the image below, I have faded out the items you don’t really need to worry about for a new account and domain name. (See image below). Important note: Make a note of your admin username and password for logging into your WordPress website later on. 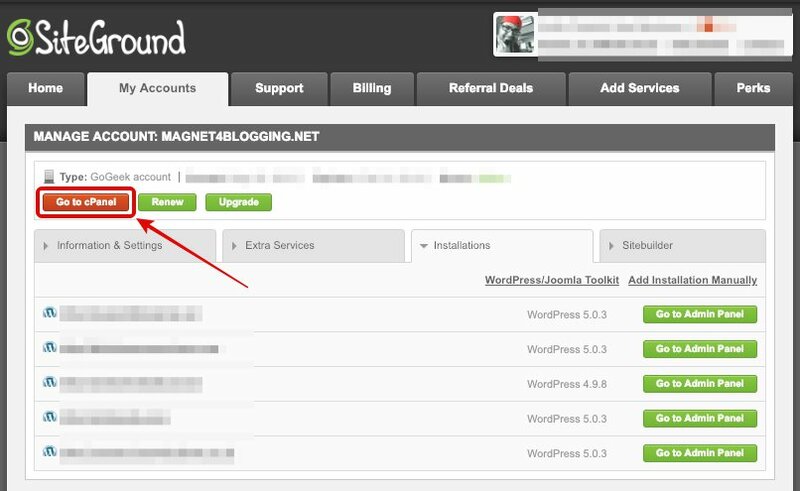 Once you have filled in all of the fields, as shown above, hit the Install button to begin installing WordPress. The process should only take a few minutes. When the installation is complete you will be notified with your WordPress website’s administrative URL. (See images below). You can click on the Administrative URL to be take straight to your dashboard. (See image above). 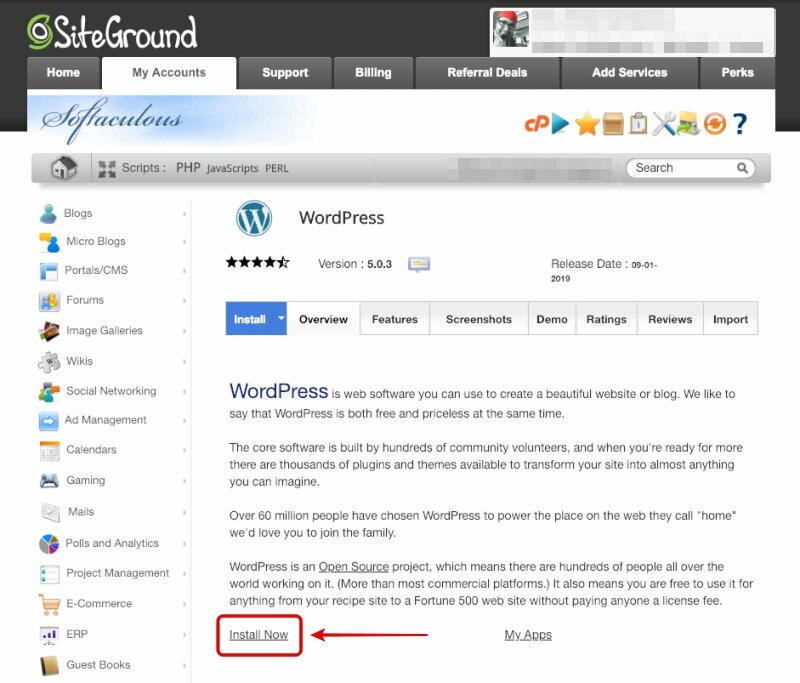 That is it, you are all done with installing WordPress and launching your website on SiteGround. You are now ready to begin customzing your business site and adding some content. Congratulations! Now, that wasn’t so bad was it? If you need help with any aspects of the installation or, in fact, creating your website entirely from scratch, please remember that I’m here to help you. Click this link to learn more. If you’d like to read a more detailed article for building a complete website for your business from start to finish, check out this page. Affiliate Disclaimer: Please note that this post contains my affiliate link to SiteGround web hosting services. This means if you click on an affiliate link and purchase web hosting with SiteGround, I will be paid a small commission, at no additional cost to you. You can read my full disclaimer here.